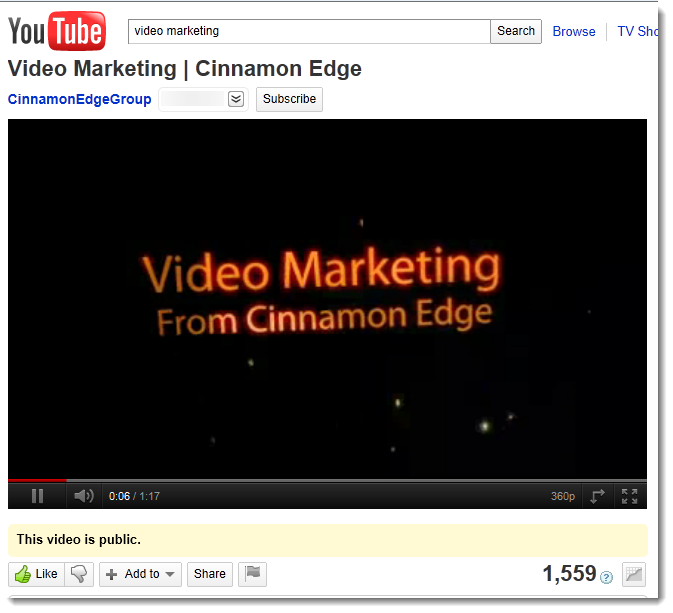 Cinnamon Edge can create written, audio and video content for you to use in and for your business. For any type of content creation we can teach you one a one-to-one or group basis how to do them for yourselves, copyedit any work you have done, do it all ourselves (with some informational input from you), or just do the bits you can’t do or don’t have the time for. Contact us to see what we can do for you! Toggle the titles to find out the different aspects of content creation, why you need them, and how we can help you. Content on your website is key to getting visitors to your site and communicating your message to them, persuading them to take the action you desire, such as contacting you, signing up for your newsletter or buying your products. Optimised web copy can achieve all of this and more, and fresh, regularly updated copy will help your website to stay high up in the search results. It’s easier said than done, and we’re happy to help – just contact us! Blogs are a great way to regularly add fresh and timely content to your website. Usually shorter than an article, each blog post can tell your readers something new about you or your world. Blogs can be chatty and informal while still helping to convey your message and personality, while regular visitors can be entertained and informed daily, weekly or as often as you like. WE find clients like us to help get them going and sometimes to take over if they are away. Others, who are great at their work but not writing, are happy for us to do them all – we can research the subjects and/or interview you to find the sort of thing you like to share. Of course, blog posts can also incorporate your slideshows, podcasts (audio) and videos – see below. Getting the word out about your business can best be achieved by creating or tying in with newsworthy events. There’s a knack to creating print-worthy news releases, and it’s much more than just telling the world about you and your business. A news story needs to be interesting to the readers and we can help you create news releases with the best possible chance of being published. We can also guarantee online publishing of news releases; these often help to drive more visitors to your website and your business. Articles can be published online, in print or both. Either on your site or others’, articles communicate your expertise and cause readers to consider your business first. In print, you have the opportunity to create a buzz about your business, encouraging people to visit you online or contact you directly. Every article published adds to your reputation and spreads the word about your business. Whether in print or by email, newsletters are a tried and tested way to stay in touch with past, present and future customers and can be shown to improve sales and profitability in a very broad range of business types. Managing and segmenting your database enables you to send the right messages to the right people at the right time – personalised so that every client and contact feels like you’re speaking to them. Not sure what ‘segmenting your database’ means? We need to chat! As always, we can set up the mechanism for you and teach you how to write newsletters and get them sent out with minimal fuss… or we can do it for you (or a bit of both). Communication is vitally important in a business of any size and it’s essential between businesses and their clients and suppliers. Whether you need to ‘speak’ to employees, suppliers or customers, business communication must have the right voice and tone, and we’re experienced at crafting exactly the right messages for a broad range of clients. Business writing will appear in letters, on literature, as scripts (in talks), online and more. We can teach you what tone you need to use and how to structure your work, or do it all for you. Avoiding ‘death by Powerpoint’, we can help you design and script powerful and effective presentations for employees, board members, clients and prospects, as well as for a wider public. Presentations can also be shared online and are another excellent way to demonstrate your expertise and attract attention to your business. We can even coach you in presentation skills, should you need some help in that area. Training courses, to be delivered face to face or online, also need careful and skilful planning, designing and writing and must reach a certain standard to achieve accreditation. We have experience in lesson planning and course creation in a range of subjects. We can also create courses to be delivered by email or online as part of your lead generation and business development strategy. Manuals are another essential item in any business where instructions need to be clear and unambiguous whether they are procedures, essential workplace training, or running a course. Documenting processes and procedures enables your business to function more efficiently and helps you keep control of all important elements. Manuals can also be created and sold as a way to generate income from almost any area of expertise. They generally sell at a much higher price than equivalent books, either digitally or in print. We can take your manual from start to finish, including the graphics – contact us to find out about our manual writing services. Smaller than a manual, a ‘how-to’ is either used to give specific lessons for people at work (eg, how to use a specific database) or sold for profit, helping you to make money from your area of expertise or research. Creating a ‘how-to’ quickly can also enable you to profit from short-lived trends and items in the news. When sold digitally, the cost of production and delivery is virtually zero and delivery is immediate – adding to their value. Naturally, we can write a ‘how-to’ more quickly than we can a full-sized manual and many of our clients prefer this option. There are two types of reports – annual reports and to disseminate some information. The former can be thrown in the bin very quickly if not written well – we can help you engage your readers more! ‘Info reports’, either free or low cost, are an excellent way to encourage people to join your mailing list. Containing useful information, they help to demonstrate your expertise to potential customers, will encourage them to contact you or use your products and services and can also promote other products from which you might make money as an affiliate. We’ve created lots of reports and can do one or more for you. A published book is just about the most impressive ‘business card’ you can have. Whether you sell your books at a profit or give them away to impress new contacts, your books can also help to drive potential clients to your business, demonstrate your expertise and add to your credibility. If you think you can’t write a book, you’re mistaken. With our help the most unlikely authors can create and publish their own books, digitally, in print or both! We can ghost-write the entire book for you or give training on what to do when… or a mix of both. Slide shows, ‘how-tos’, interviews and to-camera presentations are just some of the many types of video now available to you, and video is an excellent way to connect with potential customers, partners and colleagues. Use it in addition to the printed or digital word, or as a stand-alone method for getting your messages across. For the many people who don’t enjoy reading, video is often the best way to pass information, and the more direct nature of video can often help the ‘know, like and trust’ process. 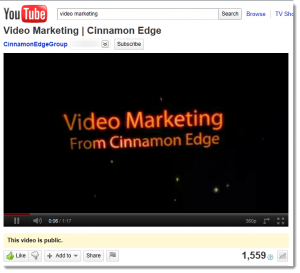 We can script and design your videos, as well as helping you decide what type of video to use. Finally, we can help you distribute, optimise and promote it.